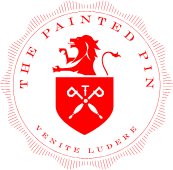 The Painted Pin is an upscale boutique bar, bowling and entertainment venue with 20 full service lanes in an industrial warehouse space in the heart of Buckhead's Miami Circle. In addition to bowling, classic interactive pub games including two customized indoor bocce courts, giant Jenga, bimini ring game, two oversized basketball pop a shots, table shuffleboard, ping pong, skee-ball and Southern skittles are available. All of our lanes feature custom Chesterfield couches for seating and personalized staff to deliver balls and shoes lane side for your convenience. Our comforting pub and “upscale alley” fare includes shareable small plates, wood fired pizzas (courtesy of two Neapolitan style pizza ovens), tacos, sliders, sandwiches and salads. The distinct beverage program offers signature and classic cocktails, craft and local beer and artisanal wines by the glass. Valet parking is available during all hours of operation, cost is $2. Live music is offered every Thursday beginning at 8:00pm and every Friday and Saturday starting at 9:00pm.